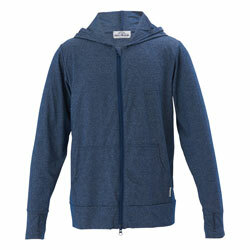 The use of nylon fabric and rust-resistant components makes this a perfect garment for use on land or in the water. The inner metal components are constructed out of rust-resistant aluminum for underwater use. You can even wear it backwards while diving to protect your hair and the back of your neck, which are vulnerable to sunburn. Not only does it have many practical uses, such as to keep your hair from spreading out and getting tangled in the mask strap, but the length of the brim provides the perfect dose of style. 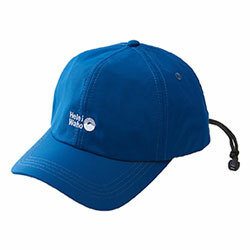 A leash cord ensures that the hat will not fly off during surfing or other activities. One especially convenient feature is the ability to pass the leash cord through the Velcro flap on the back of your wetsuit. This way, once the Velcro is attached, you can prevent the hat from getting lost by keeping your hat and wetsuit together. The leash cord is also removable.